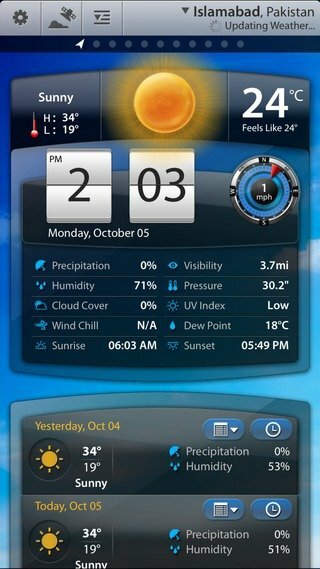 Have you ever dreamt of being able to have the current temperature of your location displayed on the home screen of your mobile handheld device? People tried out a number of ways to accomplish this much vaunted task. 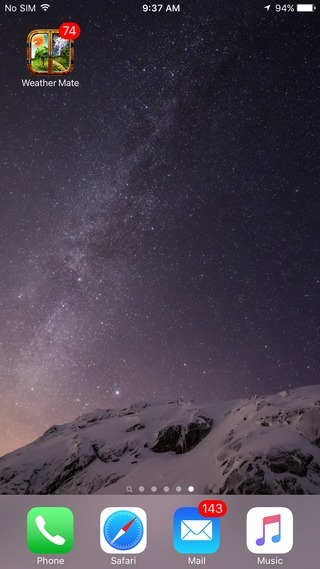 Some would go for an iPhone jailbreak and the others came up with a more sophisticated solution in the shape of widgets. As it panned out, each method had its own inherent limitations. Jailbreaking iPhone never turned out to be a feasible option while Apple’s tight control over third party software, made sure that widgets were not available to the Apple users the way they are for the Android users. Then, someone tried to pin the temperature to the weather app’s icon but again the rules dictated that animated or scripted icons were not allowed. This is where Weather Mate came up with an ingenious solution. 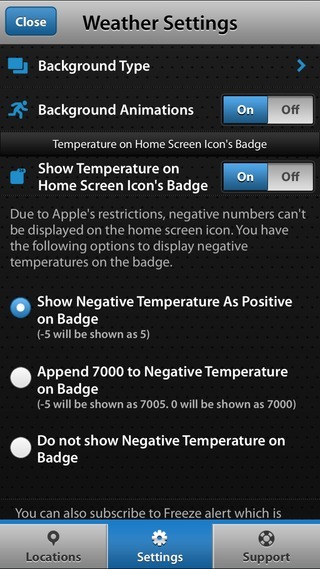 Weather Mate automatically updates accurate temperature and displays it in the app icon’s notification badge number. So, if you are in a hurry or want to take a quick peek at the current temperature, no longer do you have to undergo all that turmoil of scrolling through your phone and searching for the weather app to determine the day’s temperature. It’s already there on your home screen! Won’t it be cool to take a quick glance at your home screen and decide if you should wear a heavy coat in the morning or opt for some lighter clothes. Do you want to view your current temperature on your home screen? Download our app Weather Mate that features temperature on home screen’s icon badge.